I feel I might have overstated what my expectations of Doomsday Clock could, would, or should be. The last issue left us with two stand offs between Luthor, The Comedian, and Ozymandias, plus Batman and Rorschach. Nothing is as expected. The story does give us the reason for The Comedian’s appearance. He is/was such a dark character so it’s not shocking that he would work for Luthor. 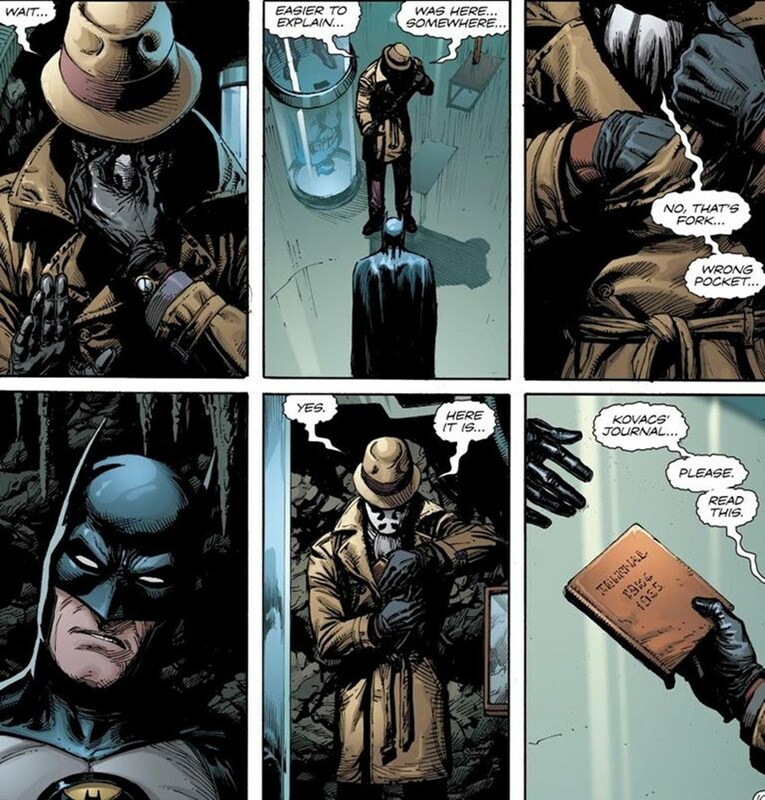 The scenes with Batman/Rorschach have a certain psychological edge that is brilliant, but I was disappointed, but not surprised, by the end of their interaction. The best part of the episode is the interaction between Mime and Marionette and Joker’s gang. It’s some dark stuff. Gary Frank’s art is still beautiful and sharp. It’s the third episode into the series and this is clearly a bridge story and a build to greater things that could possibly move beyond Watchmen. It’s a tough act to follow and Geoff Johns is definitely up for the task.